Size: 1.37 x 0.60 mt. 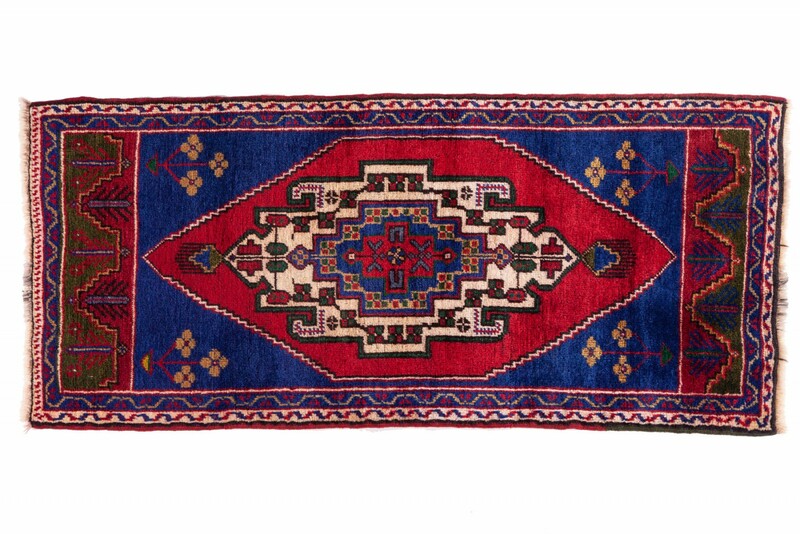 Anatolian carpets are renowned for their warm color harmony and beautiful designs along with, very high wool quality and a tighter weave than most Turkish village carpets. Distinctive burgundy, blues, white and pale raw umber with hints of yellow ochre are the dominant colors. 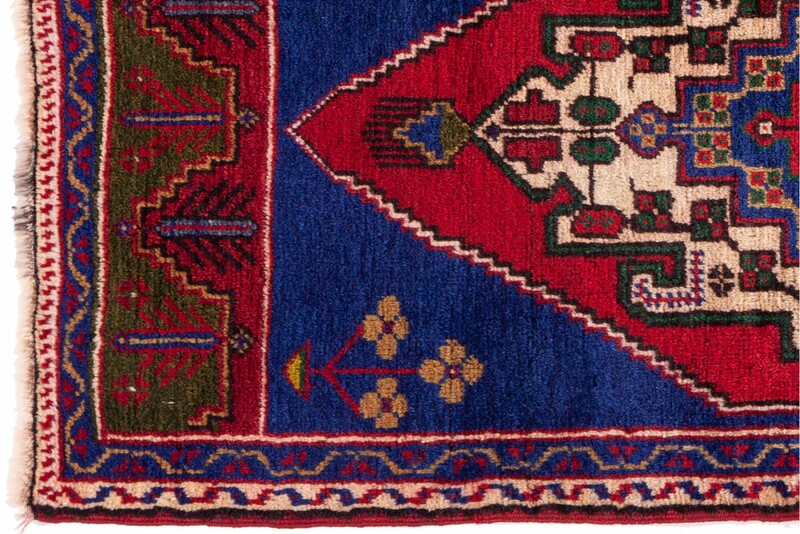 The main ornamental motif of modern and antique Yahyali is the hexagon. 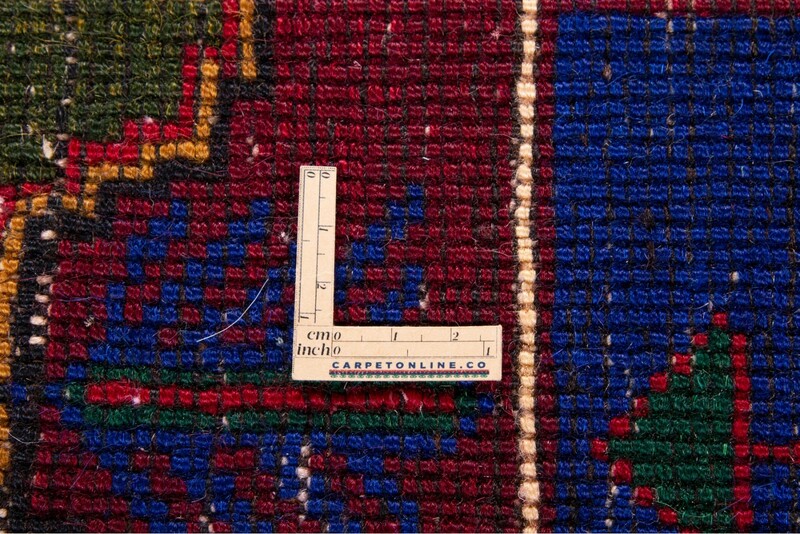 Symmetrical patterns and motifs are highlighted by strong colors. 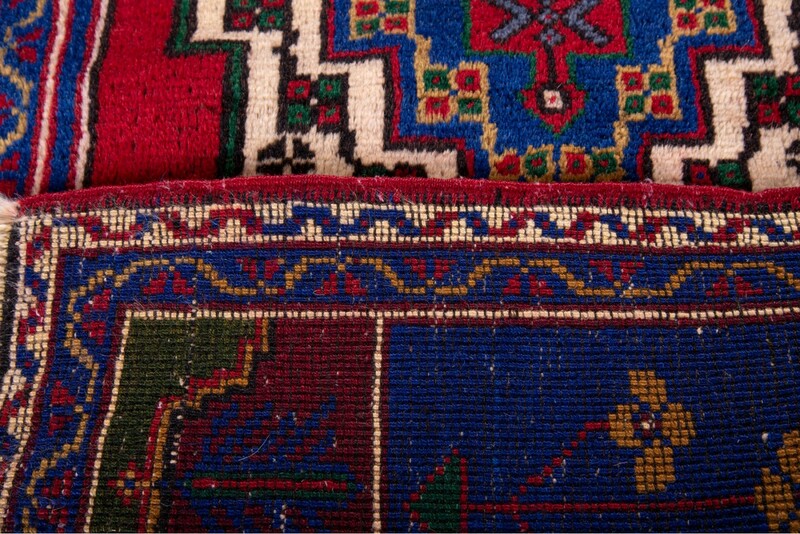 Anatola rugs can be placed both in traditional and modern settings. 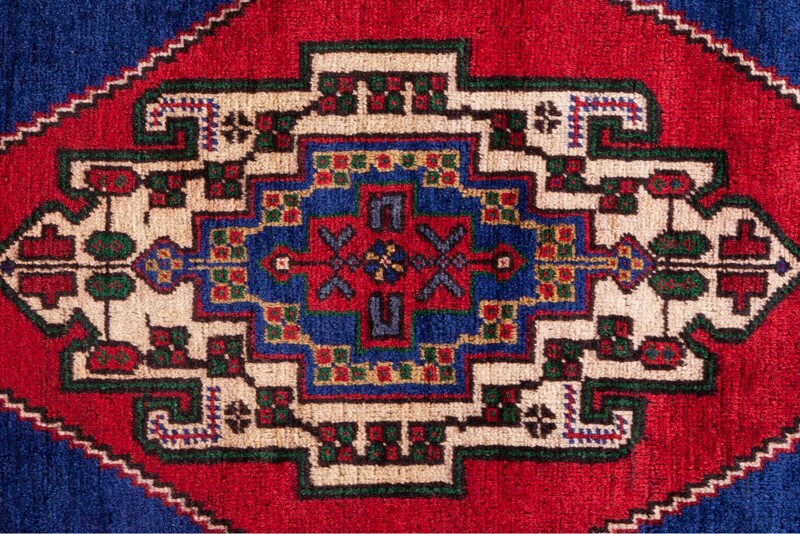 A wonderful Anatolian folklife rug from Turkey, handwoven by nomadic weavers with handspun wool. 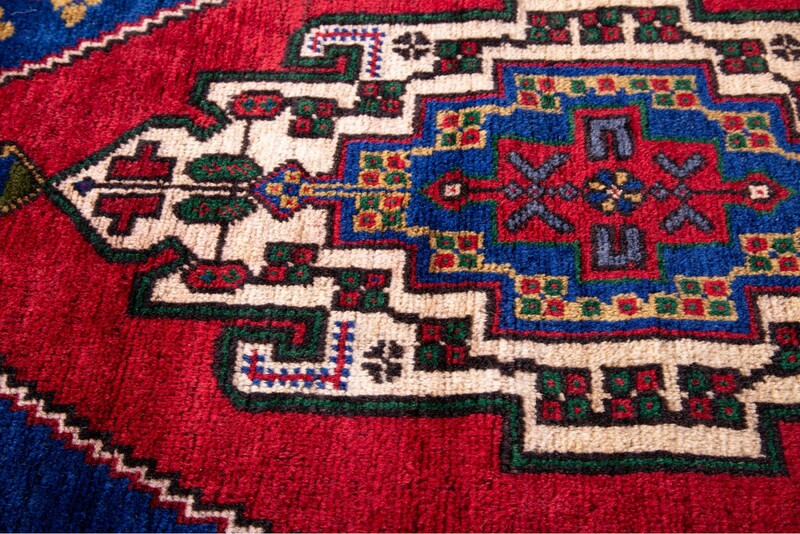 In ..
Anatolian carpets are renowned for their warm color harmony and beautiful designs along with, very h..